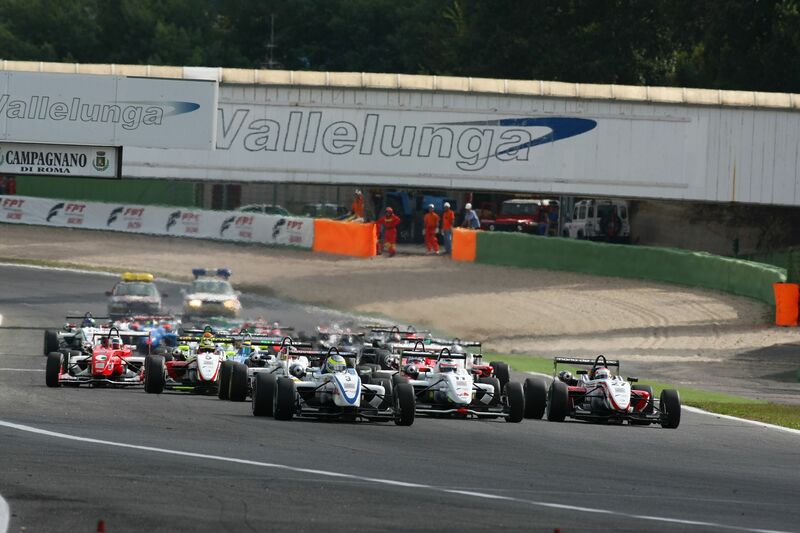 10/03/2011 - With more than two months to go before the first round of the season on schedule at Franciacorta next 15 May, great turmoil is in the air for the season opener of the Italian Formula 3 Championship. The prestigious tricolored series reached its 46th edition and continues the momentum of its amazing revitalization as happy expression of the commitment of CSAI (the Italian Auto Sport Commission of ACI) that already collected great appraisal from both teams and young drivers. Drivers and teams coming also from the International panorama; great performance equilibrium; a dream money prize launching to professional racing also thanks to the Ferrari Formula 1 test reserved by Scuderia Ferrari to the winner and best rookie; promotional programme of big occasions with live coverage of all races on Italian TV RaiSport and full pages of commentary on the most important National sport newspapers. Thanks also to these exclusive factors the Italian Formula 3 has been unanimously recognized as the most competitive National championship in the world. A thrilling season is about to come in 2011 too and will renovate that spirit of training ground of the Italian Series where entire generations of worldwide champions started their career. Aerodynamics, suspensions, setup and wheel are governed by the same principles applied to Formula One from which Formula 3 differs only in terms of performance scale. A very elegant concept of racing car that increases drivers experience enhancing individual gifts with a positive factor that can make the difference. This has also been proven by the recent testing session held in Imola, in sight of the forthcoming GP2 Asia Series round of the 20 March at Enzo and Dino Ferrari's race track, where several drivers of a higher category went back to drive a F.3. to learn the new track layout. The net result was Jules Bianchi set the pace in 1´39.481, with the Ferrari Driver Academy driver at the wheel of the Dallara lined up by Prema exploiting therefore his experience with more powerful cars like GP2 and F.1. driven for FDA. He also put on track all the know-how that in 2009 allowed him to dominate the F.3 Euroseries. At his back the Brazilian Victor Guerin set a fastest laptime of 1´40.217 at the wheel of the car belonging to Lucidi Motors, winner last year of the first edition of the teams trophy. Third time (1´40.851) for Raffaele Marciello (Prema Powerteam), fastest in the first testing day, ahead of the Argentinian Facundo Regalia (Team Ghinzani), while, Edoardo Liberati scored the fifth fastest time on the second car of Team Ghinzani. The unofficial laptimes set yesterday at Imola follow.